I have ADD. Consequently, certain things, even if relatively simple, can overwhelm me. That’s why I can’t cook – too many details involved – chop this, braise that, a pinch of this, don’t forget the garlic toast! Friends who come over for dinner expect that I will have brought something in, and prefer it that way, LOL! 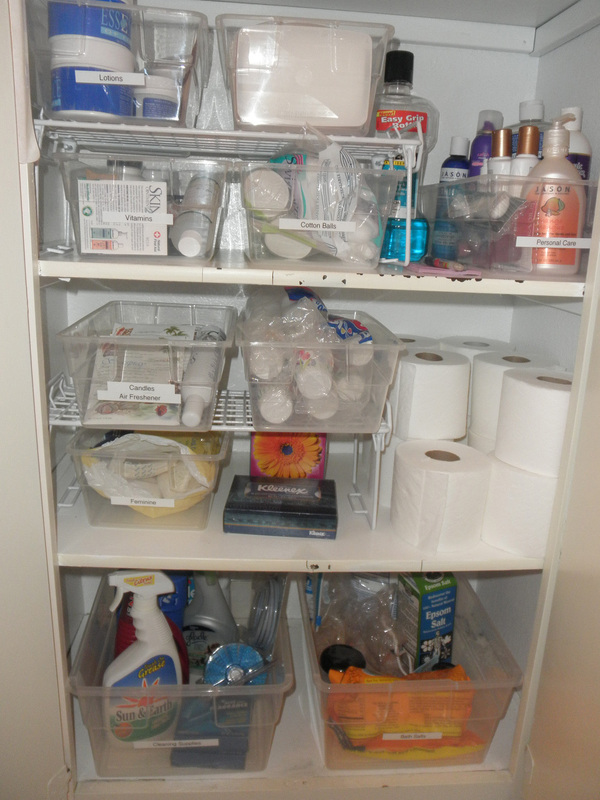 It’s ironic that I love organizing, it’s almost a hobby, and most of my home and garage are very well organized, but for some reason, the linen closet in my bathroom threw me into a tizzy every time I tried to address it. Gail Gray, a professional organizer and owner of A Fresh Start, is a member of a professional organization I belong to for women business owners, Savor the Success. The Orange County Register sent out a query looking to do a story on a professional organizer, and follow her through a job. The small business public relations company she uses, PublicityPro’s, was able to set it up. 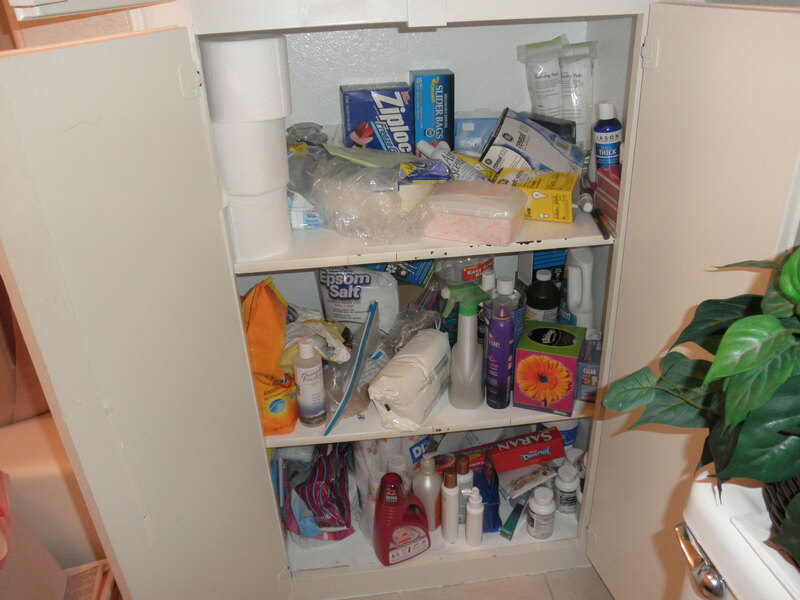 I offered up my disheveled bathroom linen closet. A tip from Gail – keep your sheet sets together by taking one pillowcase and open it. Slide in the folded sheets and remaining pillowcase(s), and fold the end of the outer pillow case over. There! No need to go through separate stacks of pillow cases, flat sheets, and fitted sheets to pull the set together. 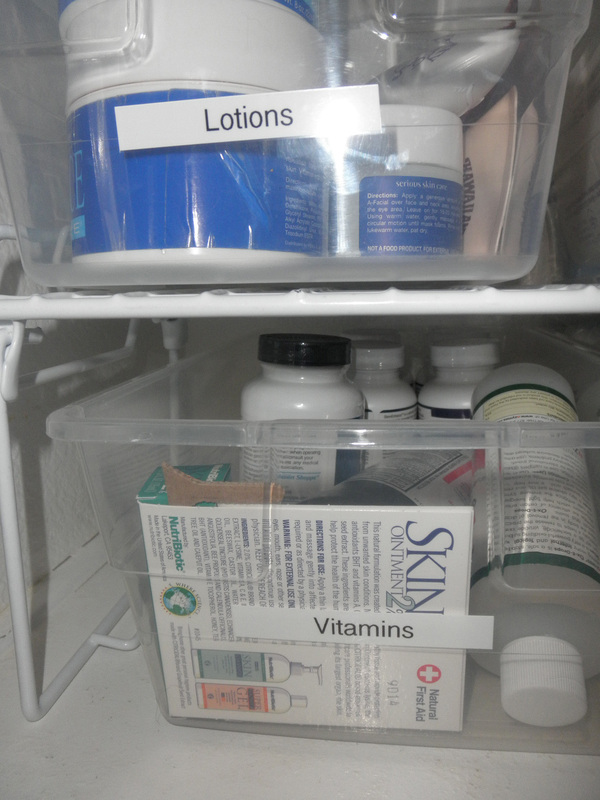 Take a look at the top shelf on the right. It’s hard to see in this picture, but Gail also suggested to put a note on each sheet set, secured with a a safety pin, to identify which set was which. Is that a good idea or what? I chose to do this only for the set of linens at the top of the shelf, “Guest Linens”. The rest I could easily identify by sight. Do you know what it is to look for something and go right to it? That nothing is being knocked over as you look or reach for it? I love how it looks and makes me feel, giving me a sense of peace, a feeling that all is in order. I secretly want her to leave her husband and kids and move in with me. I think I could keep her busy organizing every nook and cranny of my home. Until then, I have to be satisfied looking forward to our next appointment date when she will set up a more productive workspace in my small home office. I can‘t wait!! Gail just happens to be on the cover of OC Family Magazine this month. Click here. Then click at top of page to Page 8-Page 9. You’ll see a picture of her on the left with her two young sons. Don’t make the mistake I did living with a cluttered space that weighed me down, wasted time looking for things, a source of frustration that chipped away at my sense of personal power reflecting back my inability to get it done. 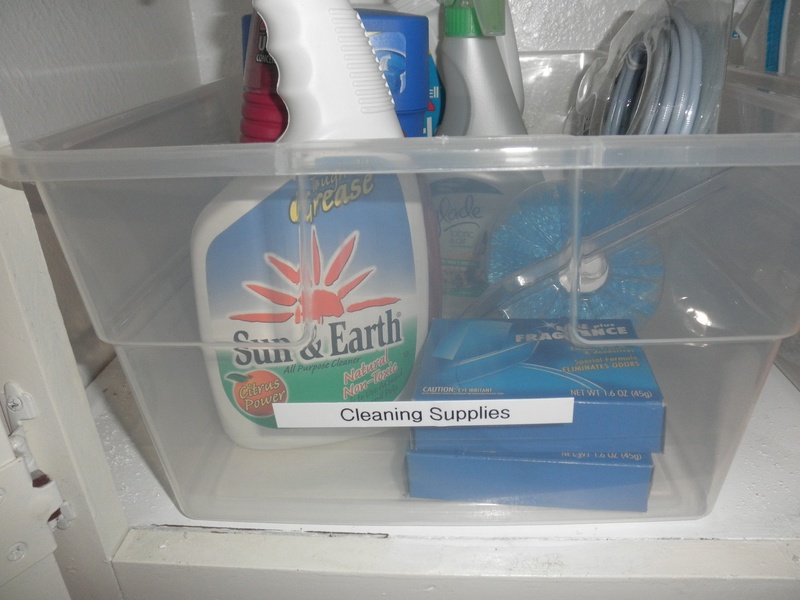 An Organizer will direct the effort, sorting items, creating order out of chaos. If you’re interested in getting a consultation with Gail, her contact info is here, A Fresh Start. It’s from a site called RadioTime where you can listen to most radio stations, AM or FM, all genres (Talk, Rock, Family, Adult Standards, Alternative, Adult Contemporary, Christian, Korean – you name it). With a few clicks, you can even find radio stations all over the world in the same all-in-one-place convenient list format for stations in that region. Click HERE for the website that covers So. California. From there you can easily search the website for all the goodies it has to offer relating to radio entertainment. For music, my favorite genre is Adult Standards, and was glad to find a couple of radio stations with that format, although my go-to station is only offered online – Martini In The Morning. This is a hidden find I only happened to learn about when attending a non-religious Prana Meditation Workshop. The campus is beautiful and all are welcome to stroll through the gardens 7 days a week, stop at any of the numerous meditation inlets, each with its own pond or fountain. Click HERE for virtual tour of the campus. It also has a labyrinth , which you enter and walk around, for some, to help quiet the mind. Click HERE for an explanation of how others benefit from it, and the origins of labyrinths. It’s interesting. The wonderful, whimsical children’s garden and play area. Click HERE. Although at its core, Unity Church is Christian-based, it defines itself as non-denominational. You don’t find any proselytizing or dogma there. Dogs on a leash are welcome to walk the grounds also. Click HERE for details. What a great service! City of Mission Viejo, are you listening?! The City of Lake Forest doesn’t offer the service for businesses. To search if your city offers this program, do a search on ‘shredding program & [City of ____, CA]’. If not, there are pay-for-service companies that offer it. Do a search for ‘shredding services + [your city/state]’. I met a lovely woman by the name of Elaine Portnoy at a recent Mission Viejo event. She and I both come from the San Fernando Valley and Los Angeles and had lots to talk about. I learned she started a program through the City of Mission Viejo, hosting a series of monthly movies, the theme of which having to do with the Mission Viejo ‘characteristic’ of the month. In May, the characteristic is ‘moral courage’, and so the movie will be High Noon starring Gary Cooper in his Academy Award-winning role. This character building film highlights moral courage and is appropriate for ages 11 and above. The plot centers around a lawman who stands alone to defend a town of cowardly citizens against a gang of revenge-seeking criminals. The marshal risks losing not only the town, but his new wife, Grace Kelly, as well. Elaine, who has designed and taught character development classes at UCLA Extension and Pierce College, will be leading the discussion after the movie about the impact of moral courage. This free event takes place on Sunday, May 16th from 2:00 pm-4:50 pm in theatre-style seating, with theatre-size screen and surround sound in the Council Chamber of Mission Viejo City Hall, 200 Civic Center (across the parking lot from the Mission Viejo Library). For more information, call 949-470-3094.